The pair keeps the tight range around the 1.2300 handle on Friday. Demand for EUR stays subdued as markets digest Thursday’s ECB. US labour market figures due next with wage inflation in centre stage. 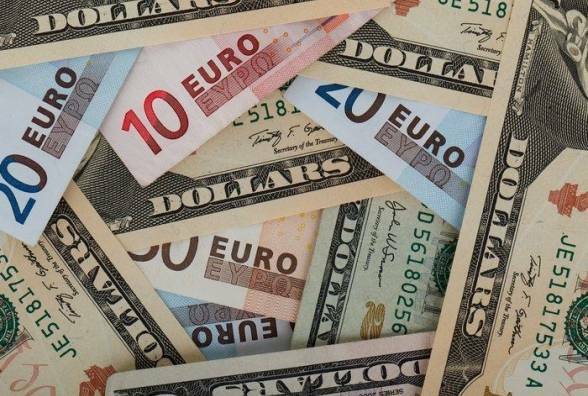 EUR/USD remains under pressure at the end of the week in the 1.2300 neighbourhood, all amidst a renewed bid tone around the greenback as market participants continue to digest yesterday’s cautious tone from the ECB. The pair stays under downside pressure on Friday following the ECB meeting, where the central bank dropped its easing bias although it remains somewhat concerned over the absence of upside traction in inflation. The greenback, instead, seems to have recovered the smile and is now looking to consolidate the breakout of the critical 90.00 milestone, against a backdrop of shrinking geopolitical risks and with US tariffs already in the rear-view mirror. In fact, President Trump has agreed to meet North Korean leader Kim Jong-un, probably in May. The news adds optimism to the recently announced intentions of denuclearization by North Korea. Nothing worth mentioning on the data front in the euro area, leaving all the attention to the publication of US Non-farm Payrolls for the month of February, expected at 200K. Furthermore, Average Hourly Earnings will also be in centre stage in light of the strong rebound seen in January. Additionally, Boston Fed E.Rosengren (2019 voter, dovish) and Chicago Fed C.Evans (2019 voter, centrist) will also speak later in the day. At the moment, the pair is losing 0.15% at 1.2293 and a break below 1.2240 (55-day sma) would target 1.2206 (low Feb.9) en route to 1.2165 (low Jan.18). On the upside, the next hurdle emerges at 1.2446 (high Mar.8) seconded by 1.2537 (high Jan.25) and then 1.2557 (2018 high Feb.18).